The devastating financial statement fraud cases of the early 21st century led to thousands of lost jobs and billions in lost market capitalization; however, we may be able to learn a career lesson from the "cookie jar reserves," which the most infamous fraudsters used during that time. Managed earnings refer to various accounting strategies that companies use in preparing their reports to investors. Examples include accounting for mergers, restructuring, and one-time write-offs for business divestiture. Amid a series of corporate scandals in which companies were found committing financial statement fraud under the guise of managed earnings, many observers use the term ironically. In some exchanges, managed earnings are synonymous with financial statement fraud. Although not illegal by definition, managed earnings — or "earnings smoothing" — abuses can be fraudulent and criminal in their operation. Cynthia Cooper, best known for her role as a whistleblower at WorldCom (at the time, the largest financial fraud in corporate history), spoke at American University in Washington, D.C., for the Kogod School of Business Annual Lecture on Fraud and Forensic Accounting, which I attended. In her remarks, Cooper focused on the "normal" nature of the now-vilified fraudsters at WorldCom: They were everyday working people in Clinton, Mississippi, trying to do their jobs as best they could. However, management’s deliberate, specific decisions —influenced by the need to "meet or beat" Wall Street projections — led those people to stray from their values and operate in unethical ways. 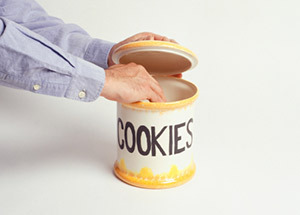 The WorldCom fraudsters used temporary "cookie jar reserves" to account for shortcomings in company performance, and avoid negative financial results. After Cooper and her team confronted those responsible, the fraud led to an $11 billion restatement of WorldCom's financials, and eventually to the collapse of the company. Stashing away accruals for a rainy day (i.e., when a company is going to miss its Wall Street projections) may depart from economic reality and can violate the principles and rules of financial accounting. Judgment from regulators is often swift and severe in cases of fraudulently managed earnings. There are, however, legitimate environments in which the measured use of managed "earnings" can benefit you — swap out earnings for expectations in your everyday professional lives. In my years as a financial litigation consultant, I've seen a breakdown in many levels of expectations on the cases I've worked. From client to counsel, counsel to court, counsel to consultant, from partner to staff — at each interchange, the players expect certain performances from each other. Breakdowns occur, however, when the participants don’t clearly define or communicate those expectations. Counsel might instruct a consultant to "review a deposition" related to their case. Seems clear enough, right? But when the attorneys scoff at a 15-hour task on the bill when they were expecting a half-hour read through, it might be too late to explain to them that your team members read, annotated and cross-referenced the statements and even researched all the accounting topics in the deposition. The same goes for any staff on a proposed engagement. A senior partner might submit a project plan that compares thousands of transactions in bank statements over a three-month time frame, when all that’s needed is a quick VLOOKUP (to find a value in an Excel list or table) and a 15-minute quality check of the formulas. An accurate expectation can win or lose that project for the firm. Immediately ask for the expected timeline, scope or deliverable upon assignment of a task. Inquire about these components at the time of an assignment so your team members can avoid the "review a deposition" dilemma, and you can clearly communicate their capabilities, capacity and focus to you client or management. Further, you can better prepare your manager or client by giving him or her realistic deadlines and quality assurance. Address any potential ambiguity up front. If applicable, tell your manager or client that the due date might be contingent upon your receipt of documents before you review them. Further, tell your client immediately if you receive documents in an unexpected format so he or she knows the mix-up could cause potential delays. Communicate consistently throughout the task. Quickly inform your manager or client if unforeseen issues arise, and don’t only operate under ground rules learned from previous assignments. If you can’t complete the work by Friday, your manager or client will be much happier to hear from you on Tuesday morning instead of Thursday at midnight. Improve the process where possible. If you can finish a specific program or skill in a day instead of three months, do it! Update expectations before, during and after you wow your team, manager or client with a perfectly formatted deliverable to keep the project ahead of schedule. Understand the manager or client’s schedule. Candidly discuss with your manager or client when he or she will review and return your work so you can plan your time more efficiently. "Friday COB" can mean "I need this so I can review over the weekend to file with the court first thing Monday" or "I plan on getting to this next week sometime." So, it’s best to over-communicate when you provide your intended performance related to manager and client’s expectations. Share your tips and stories on "expectations smoothing" in your careers and projects in the comments section below. When is it necessary to dip into your cookie jar reserves? Chris Ekimoff, CFE, CPA, is a director at FTI Consulting in the Forensic & Litigation practice in Washington, D.C. He can be reached through email or on Twitter (@EkimoffCPA). Disclosure: The views expressed in this piece are those of the author and aren't necessarily the views of FTI Consulting, its management or its subsidiaries.